I took a food allergy test a few months ago and found out I’m intolerant to olives, butter, coffee, and turkey! Yikes! I did a post with The College Nutritionist so you can learn when to take a food allergy test and how to adapt your diet. If you follow me on Instagram you know I did a food allergy test a few months ago and got the results back just before Thanksgiving. I posted my results on IG stories and have NEVER received SO MANY messages from my followers in such a short period of time lol. I posted my results and then went to the gym for an hour, and was shocked at the response I received!! Anyways, since I got so many questions on it I wanted to go over the process with you! I’m definitely not a dietitian by any means, so I asked my friend Rachel of The College Nutritionist to help explain some of the more science-y and diet parts of my results as well. I’ll give a little background on my test, and Rachel will dive right in! 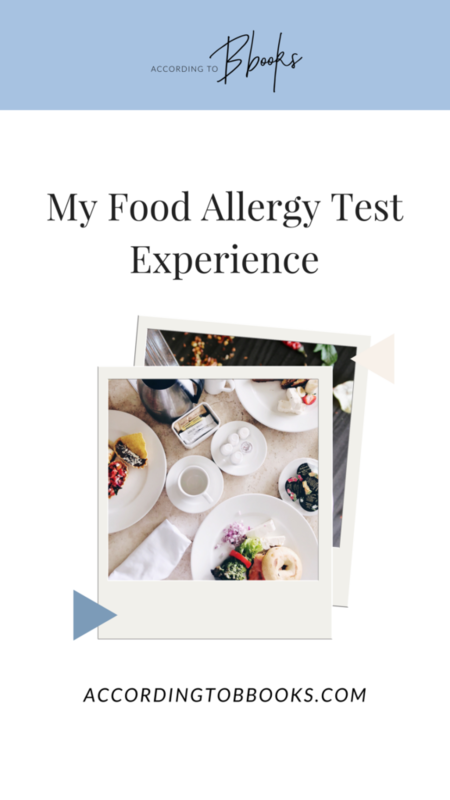 Why Did I Take A Food Allergy Test? I have always had issues with my skin, and I sometimes get small hives on my legs. I’ve also had a random patch of psoriasis develop on my ankle in the last 3 years that was a little concerning. I didn’t have any MAJOR problems, but I had a feeling something was off. Where Did I Take My Food Allergy Test? I took an allergy test at allergytest.co and I actually found a Groupon for it here! The test I bought is still on sale for $59 🙂 I’ve had friends get blood work done and for allergy tests and they can cost around $500, so this was a much more affordable option especially since I didn’t have any huge concerns. How Did The Food Allergy Test Work? I actually sent in 3 strands of my hair in a ziplock bag to the company I bought the test from. No joke. Within 8 days, they emailed me my results! What Were Your Food Allergy Results? What Has It Been Like Cutting Out These Foods? The hardest part has been OLIVES! Ugh. At restaurants, everything is cooked in olive oil! I have replaced the oil I cook with at home with avocado oil from Primal Kitchen. But I notice I totally BLOAT (like to the point where I have to unbutton my pants LOL) after Italian food (my fave). A couple weeks ago, Justin and I went to Cibo in downtown Phoenix then went to see Jerry Seinfield. I low-key had my pants unbuttoned the whole show because I was so bloated hahaha. Coffee, butter, and cabbage (aka romaine lettuce) have been hard to cut out too, but not as bad. I feel better, I have more energy, and THE PATCH OF PSORIASIS ON MY LEG IS GONE!! No joke. I notice it’ll flare up if I eat something on the list. I can’t believe it’s gone! Also I think my skin is clearer and more glowy in general. Now… From A Professional’s Opinion, Meet Rachel! Hi everyone! I’m Rachel Paul from The College Nutritionist, where I help students & recent grads navigate the food scene away from home, cook for themselves, and become independent healthy eaters. Pairing convenience and health is extremely important to me – the recipes, meal prep, and tips & tricks I discuss are super basic and doable. Many of my clients do also want to lose some weight – which has now also become a focus of my meal prep. 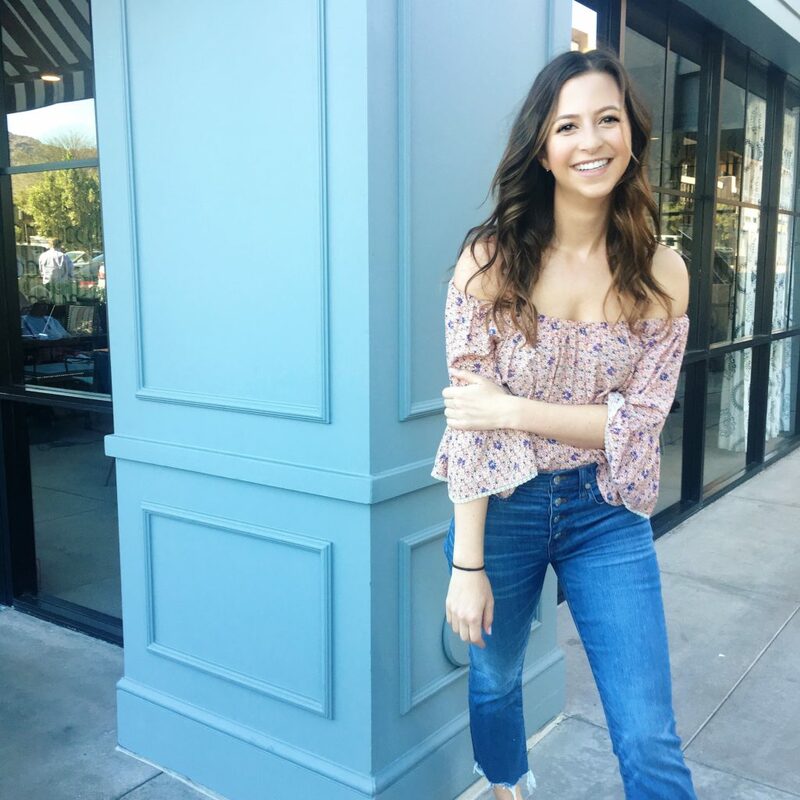 I got into nutrition because I myself was really confused with what to eat in college (and yo-yoed a good 15 pounds throughout those 4 years) – and I couldn’t find any resources specifically for college students. So when I became a dietitian, I felt I could be that voice and started “The College Nutritionist” blog and Instagram. Becca got an AllergyTest.co test, which aims to identify any potential vitamin or mineral deficiencies as well as any potential food intolerances. Becca submitted a hair sample, which was analyzed using bioresonance technology. AllergyTest.co states: “Bioresonance therapy is a complimentary medicine using a device that captures and diagnoses electromagnetic signals coming from the body. Developed in the 1970s by a team of medical doctors and bio-physicists, these devices are in regular use in over 26 different countries.” They also state that their equipment is manufactured by a certified developer of medical products. Their analyses are completed in the UK. These types of results are interesting and can be really helpful! I’m going to break them down & talk about what to do about them. What Is The Difference Between a Food Allergy & A Food Intolerance? It’s easy to confuse the two – but we should be as accurate as we can when discussing each. A true food allergy causes a reaction by the immune system that affects orangs in the body – causing a range of symptoms that can even be life threatening. Some of the most common food allergies in the US are to peanuts, tree nuts, and shellfish. A food intolerance, on the other hand, is less serious in terms of negatively affecting the body, even though many times it can still cause a bodily reaction. Some causes of food intolerances include the lack of a particular enzyme in your body, such as lactose. Ever heard of lactose intolerance? This means the enzyme that breaks down the sugar molecule lactose is not present in an individual’s body, so she will have trouble breaking down foods with lactose in them (e.g. milk). Symptoms from food intolerances are typically felt 30 minutes to 48 hours after contact with the certain food (as opposed to – typically – immediately with a food allergy), and can include headaches, bloating, skin irritations, excessive gas, diarrhea, and fatigue. The good news with food intolerances is that one can sometimes still eat small amount of these foods without seeing a reaction, or, for example, take a pill in order to help digestion (e.g. Lactaid pills). When Should You Get a Food Allergy or Intolerance Test? If you think something is really wrong, if you’re having any major symptoms potentially from a particular food, it is of course important to first seek medical help from a doctor. Your doctor will be able to tell you whether you should be tested for food allergies. If you’re just curious about what foods could possibly cause any inflammation or discomfort in your body, or do have some undiagnosed symptoms that you think may be caused by food, a food intolerance test such as this one can help. However, I would strongly recommend you to discuss any test you wish to get with your medical doctor, especially before making any drastic changes to your diet. Explain These Results To Us. Test results include which items from a long list (over 600 food and non-food items) that show an intolerance of 85% or more. Only those items with an intolerance of 85% or more are listed in Becca’s results. It is unclear from the website what AllergyTest.co is exactly defining as “tolerance” and “intolerance”. Some of the items Becca wanted to discuss that came up as intolerances in her results were olives – and subsequently olive oil and products made with olive oil. Do You Have Any Favorite Salad Dressings or Pasta Sauces You Recommend Without Olive Oil? For salad dressings, you can of course make your own if you have time. There are a ton of recipes online, but generally, substituting another oil like walnut oil, avocado oil, etc. will be fine. When reading nutrition facts labels in the grocery store, look in the ingredients list to see which oils are included. I actually generally recommend using canned (or boxed) crushed/ diced tomatoes instead of pasta sauce anyway! This switch generally cuts ½ the calories and essentially all of the added sugar used in a lot of pasta sauces. I also like to get pre-seasoned canned tomatoes because, convenience. What Tips Do You Have For Grocery Shopping with a Food Intolerance? Luckily we don’t have to be as strict with food intolerances as with food allergies, but it is good to generally read nutrition facts labels to make sure you’re buying a good product. The ingredients panel is the place to start when avoid ingredients that may give you problems. The ingredients list is generally located underneath the nutrition facts panel. What Tips Do You Have For Eating Out With A Food Intolerance? 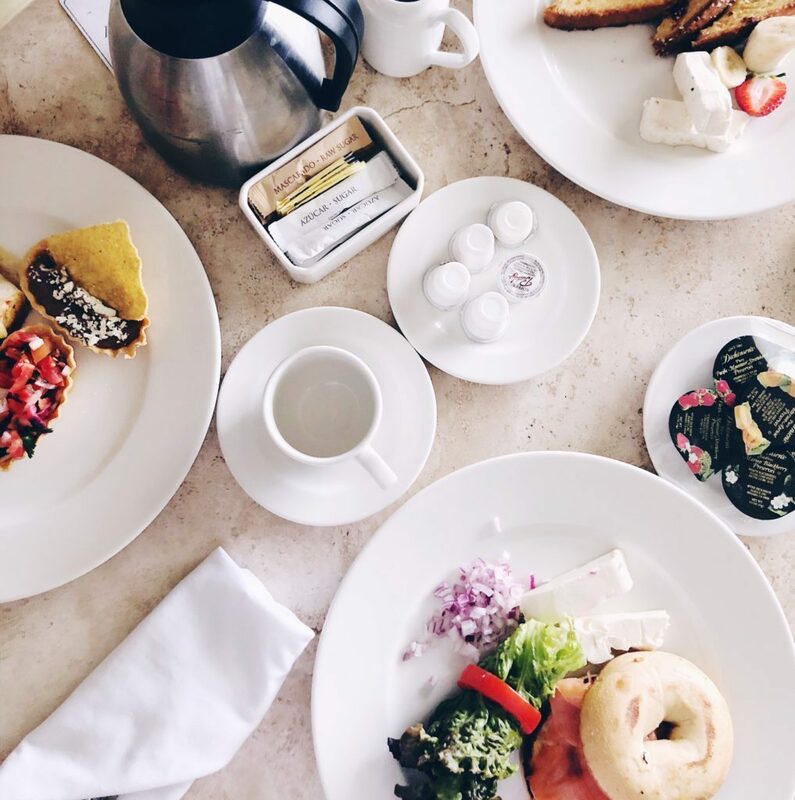 As more and more people, especially in the US, are being tested for food allergies and intolerances, restaurants are becoming more adept at alternative requests to what’s on their menus. Restaurants generally do take food allergies seriously, and many try their best to accommodate you. Call ahead of time to see what changes they can make to their dishes and if they cook on separate stoves, etc., to avoid cross contamination. If you have a true food allergy, it may be safer to prepare most of your own food. Foodallergy.org is a great place to start for some other ideas on how to speak with restaurant staff. Thanks for reading and thanks to Becca for having me guest blog! You can find me at www.collegenutritionist.com and on Instagram at @collegenutritionist. An important note: With any new technology, results should be approached with caution. Please consult your health care practitioner before making any drastic changes to your diet, as is also stated by AllergyTest.co. This blog post does not contain medical advice for an individual person, it is a general description of the food intolerance test and its results for Becca.